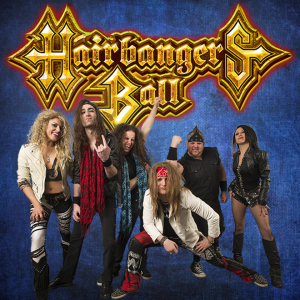 Whether you’re looking to bring back the memory of a favorite concert seen in 1985 or seeking a true-to-life representation of what a rock concert was like in the 80’s, Hairbanger’s Ball provides both the music and the mayhem for young and old alike, bundled together in a 6-piece, high octane lineup. Featuring powerful male and female lead vocals, some serious ax grinding and renditions of classic songs so much like the original you’d swear you’d gone back in time, Hairbanger’s Ball leaves nothing to be desired after seeing and listening to them live, and is why they’ve been named “Best Rock Band” in Chicago by their throngs of adoring fans. In addition to traditional concert venues, Hairbanger’s Ball is also available for bookings at club venues, private events and parties, weddings, and corporate gatherings, having entertained heavy-hitters such as KIA Motors, Miller Brewing Company, AOL, The Phoenix Open, the United States Armed Forces and many more.